Sunny townhouse on the seafront in Illa Plana (Ibiza). 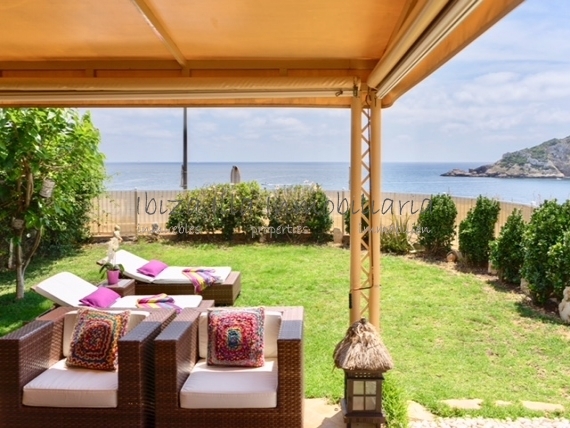 Literally 5 minutes’ walk from the beach of Talamanca and the marina of Marina Botafoch. Garden of 118m2 with possibility to make pool. Wonderful sea views, incredible sunrises. It is distributed in 4 double bedrooms, 2 bathrooms and a toilet. Living room, dining room, kitchen and storage room. 2 parking spaces included in the price. Air conditioning, alarm system, etc.